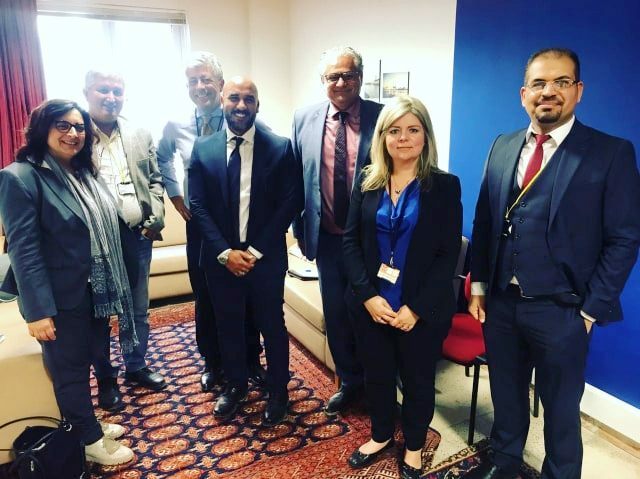 Head of the department of Italian language at the college of languages, Dr. Bahaa Najm has recently participated in the meeting of the European Union Committee responsible of follow-up of the European cultural projects in Iraq as a coordinator member representing the University of Baghdad. During the meeting, the participants reviewed the results of several academic projects within the EDUU Project for Education and Cultural Heritage Enhancement for Social Cohesion in Iraq funded by the European Union with the purpose of preservation of ancient monuments in several Iraqi cities through partnership between the two parties in the fields of education and culture. Also new ideas for future projects aimed at creating jobs for the graduates of the humanities specializations were exchanged at this event.